Last week I shared a little about a parenting failure I had. And I shared that I had decided to start encouraging my kids with 3 words that would describe some of the gifts God had created them with. So every morning when I take Elijah to school I have been reminding him that he is kind, compassionate and brave and that God made him special that way and he should keep his eyes open for opportunities to use those gifts to be a blessing to others. As parents we hope that the wisdom we are trying to impart to our kids sticks. Sometimes it feels like it goes in one ear and out the other…but in this case the simple things I was telling Elijah were making a difference. In addition to these truths, I want to make sure that they know that regardless of how they behave they are loved no matter what. It is a message they need to hear, over and over again. Yesterday Elijah was being a little naughty. He was supposed to write 100 words for his homework and the 100th day of school coming up here in a few days. He had been playing for the majority of the day so I thought a short break to write 10 more words would be a good idea. He started squirming in his seat. He wrote with poor handwriting and pretended not to know how to spell a few words I knew he had down. So I took it away from him and sent him upstairs. I was angry yes, but clearly we weren’t getting anywhere. A little while later he came down to apologize to me. He said “I know you are angry at me…” I grabbed his hand and reminded him that he was kind, compassionate and brave. I told him that I know how good he does at school and I felt like he wasn’t trying very hard on his homework. Yes it made me angry but it doesn’t change how much I loved him. I asked him to forgive me for being angry and then he went to finish his words. We finished the last 40 words in no time. And I could tell he was proud of the work he did. This scenario could have played out so much differently, my response can make all the difference and I am seeing just how true that is recently. Today started like it has the past week, we talked about Gabriel’s 3 words on the way to the middle school and then I gave my encouragement speech to Elijah as he left the car. What a wonderful way to send then off to their teachers, head held high with 3 truths of who they are in God. When I went to pick him up from school he was a little late coming out. He asked me if I knew why he took so long…no buddy, what happened? I expected something negative, but then he said this. Yes you are son, yes you are. He was using those truths, that in less than a week he has embedded into his heart, to be a blessing to someone else. God is moving in that boy and I am blessed to have a first hand view of it. What 3 words might make a mighty difference in the lives of your kids? Look I am NO expert at parenting. I could write a book on all the mistakes you want to avoid with your kids because I have pretty much made them all. But this 3 words idea has already made an amazing impact on my kids and on me. So maybe it is worth a try?! 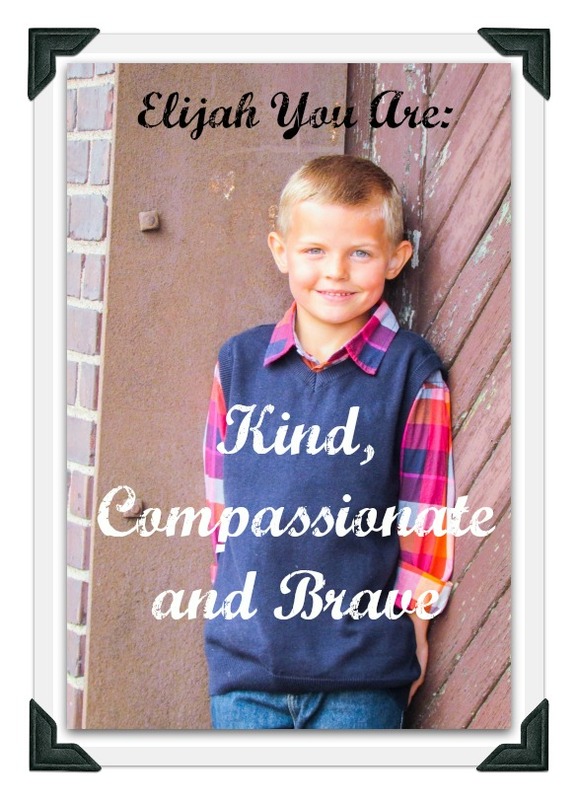 This entry was posted in Elijah, Parenting and tagged brave, compassionate, kind, parenting on January 26, 2016 by Kristin. This parenting business is no joke. I become more aware of my failures as a parent each and every day. And let me just say that before I share my most recent “lesson” with you…there is grace here. Grace for me and grace for anyone reading this that might relate to my struggles. No condemnation – just an opportunity for awareness and grace. I saw this cute quiz on a friend’s Facebook page. She had asked her young children some questions about her and asked them to answer. Their responses were so loving and adorable…so my first mistake was thinking that my sweet darlings would respond in the same manner about me. I stopped the quiz and decided that my heart couldn’t take any more. It is something that has been unfolding before me in the recent few weeks and this quiz had solidified in me the need for a change. I have talked about it before here that I have struggled my entire life feeling like I didn’t measure up. To what exactly, I’m not sure…but it was a feeling I have lived with forever. It didn’t matter how hard I tried to “be good”…I was a sinful, selfish human being and eventually all my trying led me right back to a place of failure. 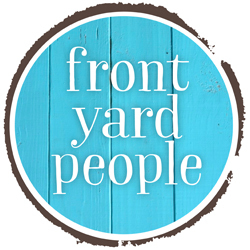 A blow up, an unkind word, a threat…the list could go on and on. I read this book called “Tired of Trying to Measure Up” and while some of the things didn’t necessarily fit with me, so many things did. And it all leads back to one main underlying emotion. When we spend our time trying to measure up to this standard of perfection that we set for ourselves, and then we fail, the natural response is to feel ashamed. There were things in this book that I knew as a parent I had been doing. Not intentionally no, but a way of communicating with my kids that has allowed them to believe that by “being good” mommy is happy and when they are “bad” mommy is not. Now yes, I feel happy when my kids are behaving, that is true. But am I communicating to them that I love them NO MATTER WHAT? That even on the days that they make mistakes, there is nothing that would make me love them more or less? Am I modeling that unconditional love that Christ has for me? The reality is – no. As much as I would like to tell you differently, I am learning that this is something in my character that need refining. I want my kids to understand the difference between good and bad choices. They need to have consequences when they make wrong decisions and can be praised when they are a blessing to others. But here is what struck me so deeply last night. It is NOT my kids responsibility to make or keep me happy. They are NOT responsible for my emotions and if I am communicating with them in a way that makes them believe they need to somehow “manage” my feelings…well then things have to change. This morning I talked with Elijah a little and told him that it was not his job to make sure I was happy. I told him that there were a lot of things that make me happy and I listed off a few things. His smile being one of the biggest. I also told him that no matter what, I would always love him. Even on the days that he makes wrong choices. I told him that sometimes those choices might make me sad but I would ALWAYS love him, just like God does. Shame can be a good emotion when we can learn from a mistake and move forward. 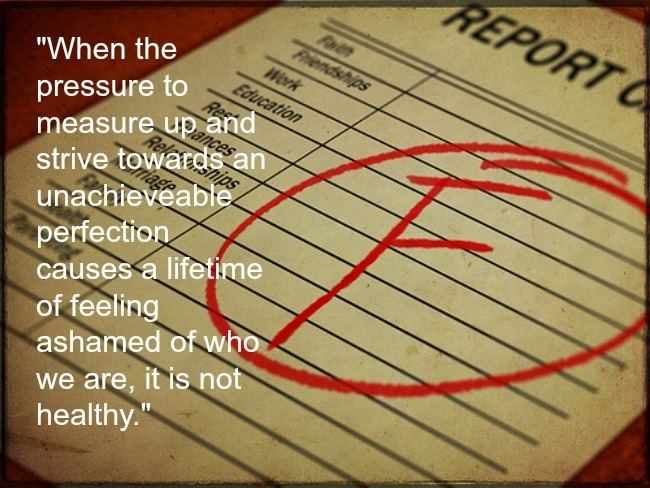 But when the pressure to measure up and strive towards an unachieveable perfection causes a lifetime of feeling ashamed of who we are, it is not healthy. I am working now on retraining my thought processes. It is my natural response to see only the negative in myself (and oftentimes others) and it has kept my in chains for too long. I am starting by seeking out the truths of who I am in Christ. Setting my feet on the solid rock of God and remembering that regardless of my choices, God loves me no matter what. I want my children to walk in that truth as well. Today I told Elijah that there were 3 things I wanted him to remember about how God uniquely created him. Yes there are so many things I could add to this list, but 3 seemed like something he could remember easily. Will he fail? You bet. We all do. But my hope is that he will start to walk in the truths of who he is. He will believe those truths over the lies that the enemy will try and whisper to him and he will know that he is loved no matter what. As parents it is all we can do, own it for ourselves and then pass on the truth to the littles we have been entrusted with. 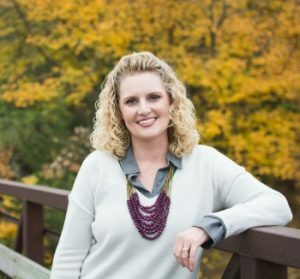 This entry was posted in Being a mom, Being real, Parenting and tagged grace, parenting, the need to measure up on January 20, 2016 by Kristin. Give Them Jobs – A Riches of His Love Parenting Series – Advice From the Worst Mom Ever! I have said it before that being a parent is tough business. When we were pregnant with Isaac I had no idea what being a mom would really mean. I loved babies and had babysat as a teenager…so it would be a piece of cake loving on your own baby, right? But sleepless nights and a colicky son that cried for hours at a time, quickly showed me that this thing wasn’t for the faint of heart. It has been a few years since I have paced the hallways with a crying baby…but as I find myself in the thick of raising two toddlers along with 2 older boys, there is a new sound that has emerged inside my home. Oh the whining! The fighting and hitting is awful too…but I don’t know that much else irritates this mama more than the constant whining and fussing. Because Elijah and Karlena are so close in age (18 months) it seems to have magnified. There is 7 years between Isaac and Gabriel, and 5 years between Gabriel and Elijah. I just don’t remember it being THIS terrible with them. And while Elijah and Karlena really do play well together at times, and I know they love each other, they also argue and bicker and fight and cry and fuss and bawl and whine. Because I am really trying to change my pattern of screaming at them when they are screaming at each other I decided to try something different this time. Elijah, who just turned 5, is interested in helping. I don’t always give him enough opportunities to be helpful but he loves the praise that comes with being a good helper. So we got home and we got right to work. I asked him if he wanted to be a bog boy and help mom with some important work. He said yes and we set to task. It wasn’t anything huge, and honestly I could have done it myself in 1 trip upstairs. It took him 3 trips, but he was very proud of himself for getting the work done. And he didn’t whine once during the entire process. Once we had finished that task, I had him help me set the table for lunch. Now the Type A, perfectionist personality in me cringes at a sloppy set table, but again this was a chance for him to learn. So we talked about where to put the fork, and Gabriel helped with the napkins…it wasn’t pretty but the whining had stopped. Of course I was sure to praise him heavily during this time. Telling him how much I appreciated that he was being such a big helper and what a great job he was doing. Kids LOVE to hear how awesome they are. Sometimes I forget that really. I get overwhelmed by the whining and fighting and I find myself focusing on everything they are doing wrong, instead of celebrating all they are doing well. I know it isn’t a perfect plan. Sometimes asking them to help may cause more whining, oh heaven help us if it does!! But it is worth a try and might just give you a few more minutes of peace and sanity in your home! This entry was posted in Family, Parenting and tagged advice, chores, Parenting series on June 26, 2014 by Kristin. 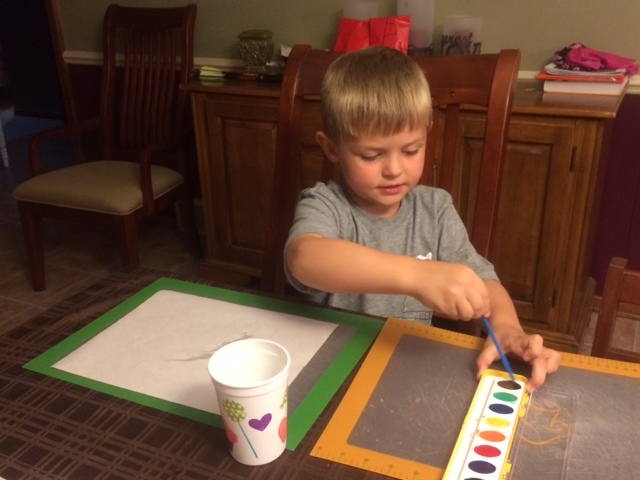 Just Paint – A Riches of His Love Parenting Series…Advice from the WORST mom ever! I hadn’t even been home from work for 5 minutes and I was ready to go back. Yes it was Friday night and I should have been excited about the upcoming weekend, but the reality was that I walked into kids fighting and I could feel my blood pressure rise immediately. What is it about fighting, screaming kids that can push you over the edge?! The past two days had been especially bad. Elijah spent the early part of the week away at a fun camp with his grandparents and cousin Isabel. Apparently he cried every night for us but once he came home, the “missing mom feelings” wore off and his temper and sass were back in full force. I tried some calm and positive correction. Anything I or his brother Gabriel said to him he repeated in a taunting voice. He was testing the waters big time! I could feel myself getting more and more angry and it was work to keep my voice from yelling back at him. And then I decided to ask him what he wanted to do. What was it that would help him to behave? He has asked to paint before and usually I find a reason not to bring out the paints. It always seems like such a hassle. But for some reason this night I thought it was worth a try. No he hadn’t “deserved” the right to do something he really wanted to do. He had been nothing but naughty for almost 2 hours straight, but I was desperate for a change…so I said yes. We got out the watercolors and a few sheets of paper, a cup of water and he was ready to go. He painted for maybe 10 minutes. 10 blissful, sass-free minutes and it was wonderful. Within a half hour he was right back to burping at his brother and chasing his sister. Short-lived peace, yes, but I learned a good lesson. Sometimes we have to be willing to try something new. We need to say yes to things like painting if it means we will be able to regain some of our sanity, even if just for a few minutes. What have you said yes to, in order to get some peace from your kids?! I’d love for you to share your stories in the comments below!! This entry was posted in Elijah, Parenting and tagged #momfail, advice, Elijah, parenting on June 14, 2014 by Kristin. 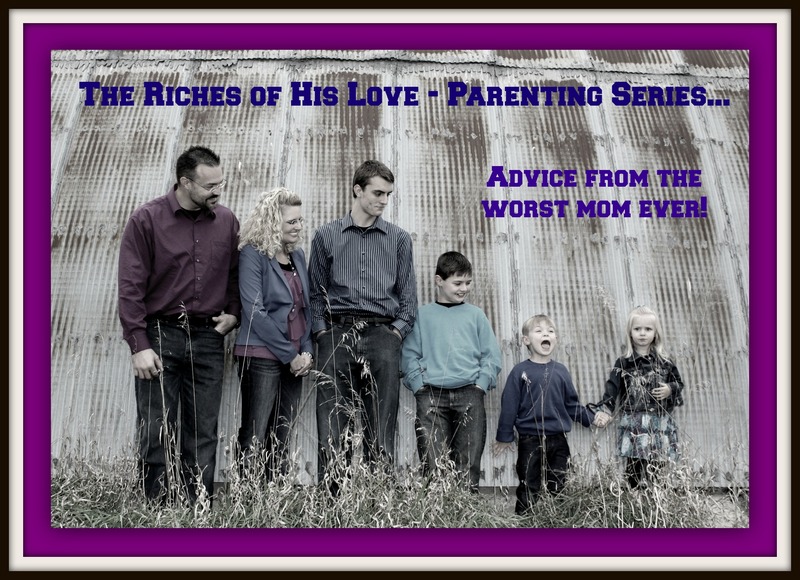 A Mother on the Edge – A Riches of His Love Parenting Series…Advice From the WORST mom ever! I got a vox from a dear friend this morning. She was a mother on the edge. It was maybe the 10th full day of summer and she was struggling to find sanity in the craziness of schedules that had been thrown out the window, routines down the drain, and a 4 year old who seemed to try and push EVERY.SINGLE.BUTTON. While her message was sprinkled with humor, there was a bit of desperation in her voice as well. How will I make it through until August?! As a mother who clearly has her act together (insert a loud snort and a chuckle) I responded back with some prayers and a little advice. Now, I don’t give advice because I have it all together or do this parenting thing right every day. Nope in fact most days I FAIL miserably! My now 5 year old told me today that I was NOT the only one in charge in the family and I couldn’t tell him to behave. (I then threatened asked him if I should call his father to clear the whole issue up…oh yes I did!!) He may have stuck his tongue out at me….I have blocked that memory out. No, clearly I am probably the WORST mom to be giving advice, because I don’t have the best behaved children on the block. But I am right down in the trenches with you moms and have found a few things that have worked over the years. Sorry for the legal tangent, back to the “story”…She said she would read a book with that title ha! 🙂 So for fun, and a little change this summer I thought I would try a little blog series. I realize that a series should be consistent, you know on the same day every week…If I were following the right “how-to’s” in blogging I would add a linky and ask you to share your posts. 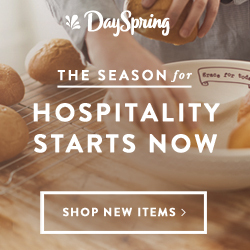 But the reality is that we are in our busiest time of the year, for this time of the year! I keep thinking it will slow down and it hasn’t – all good but it has left me exhausted and unavailable when it comes to writing! So I can’t promise when I will post again in the series – but I know that I have some fun stories to share. And this will be good for me too because I can remind myself of some of the things I have learned in the past so that I can try them again when the opportunity presents itself! Because trust me they WILL present themselves again. I hope you come along for the ride, and even though I won’t have a fancy linky (because I have NO IDEA how to add one and can’t possibly take the time to learn.) Please share your stories in the comments so we can find strength in numbers. This parenting thing is tough business and we need all the help we can get! (<====Click to Tweet) I don’t want you to come here and think I have it figured out and that you can’t measure up to me because that is just crazy funny! No perfect parenting how-to’s here! So what do you think?! Will you join me?! 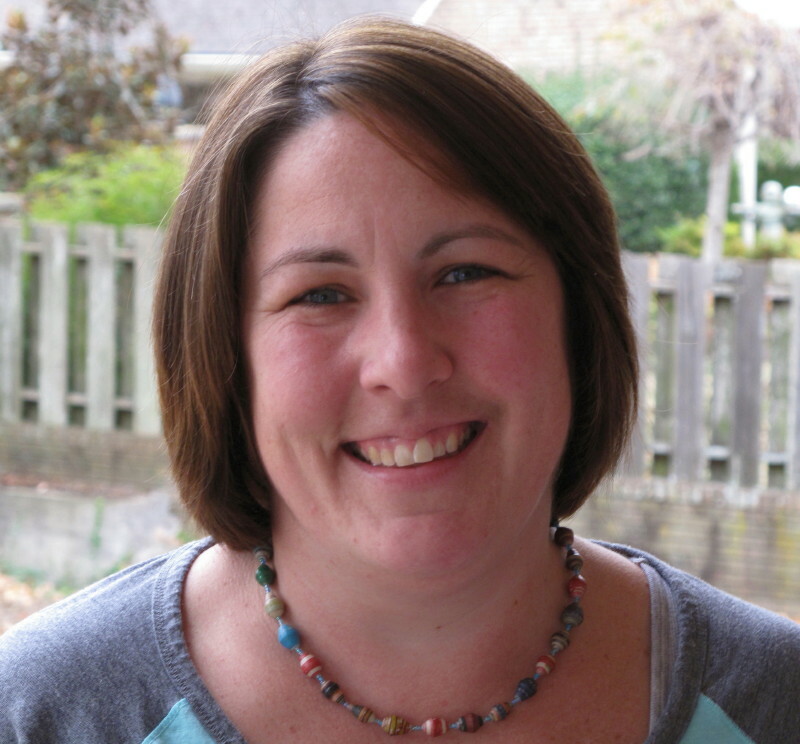 This entry was posted in Parenting and tagged #momfail, advice, humor, parenting on June 11, 2014 by Kristin. Parenting is hard. And I realize that this isn’t a new idea, especially to those of you in the thick of raising a 3-5yr old child. But there is just something about those ages that is TOUGH! And quite honestly, I often get lazy. I know that I am not always the best example but last night I needed to be a good example, even when it would have been easy to let this one thing slide. 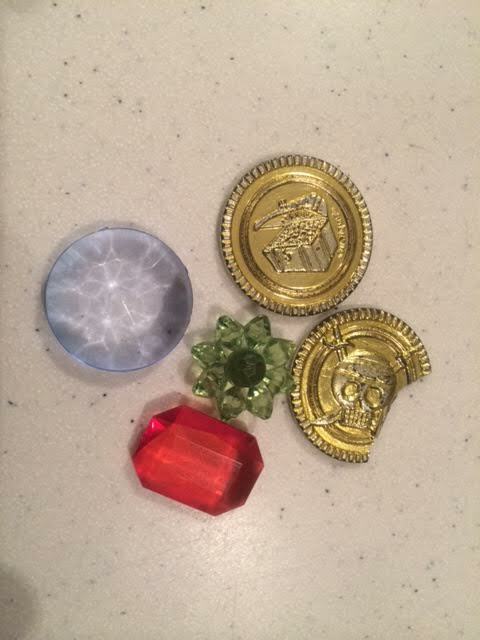 Elijah dug some items out of his backpack before dinner. A pirate’s treasure if you will (see picture above). I asked him where he got it and he said that his teachers gave it to him. Something seemed fishy about that so I started asking him some more questions. When I came out and just asked him if he was lying…well his face turned down to the ground, he sighed and said yes. He didn’t have to tell me…I already knew. So I asked him to get a baggie (which he did reluctantly and with pouting) and told him that we had to bring the items back to school. Oh son, I know! I get it, I really do. And if I were judging this situation on the value of the items…maybe I would justify letting it slide. But on principal alone it is important that he learn this hard truth about honesty. I told him that God wants us to always tell the truth, that we can’t take things just because we want them…and that we were going to have to tell his teachers the truth. He asked me if he could just sneak them back into the classroom. Oh yes he did! I told him that wasn’t being honest either. He knows it was wrong to take them, and he needs to admit what he did. I promised him that I would stand with him so he didn’t have to do it alone…and said that I was pretty sure his teachers would forgive him. But telling the truth was necessary. So tomorrow, on the day that they are also celebrating his birthday a few weeks early, we will be bringing cookies to class for treats and a little bag of pirate treasure and learning the heard lesson on being honest. Hopefully, if he ever feels like taking something again that isn’t rightfully his, he will think about this experience and remember that there is a consequence when we don’t tell the truth…when we steal. But he doesn’t have to do it alone. I will stand with him, encourage the good behavior and remind him that I love him even when he makes mistakes. My God has done the same with me time and time again. Sometimes the sting of my actions hurts and taking responsibility is something that doesn’t always come easily…but when I do, there is forgiveness and lessons learned. I don’t expect Elijah or any of my kids to be perfect but I can work to teach them right from wrong. As parents it is all we can do to stay afloat most days, so have faith that you are not alone. Yes parenting is hard, but I am so grateful that God is standing beside me encouraging me along the journey! 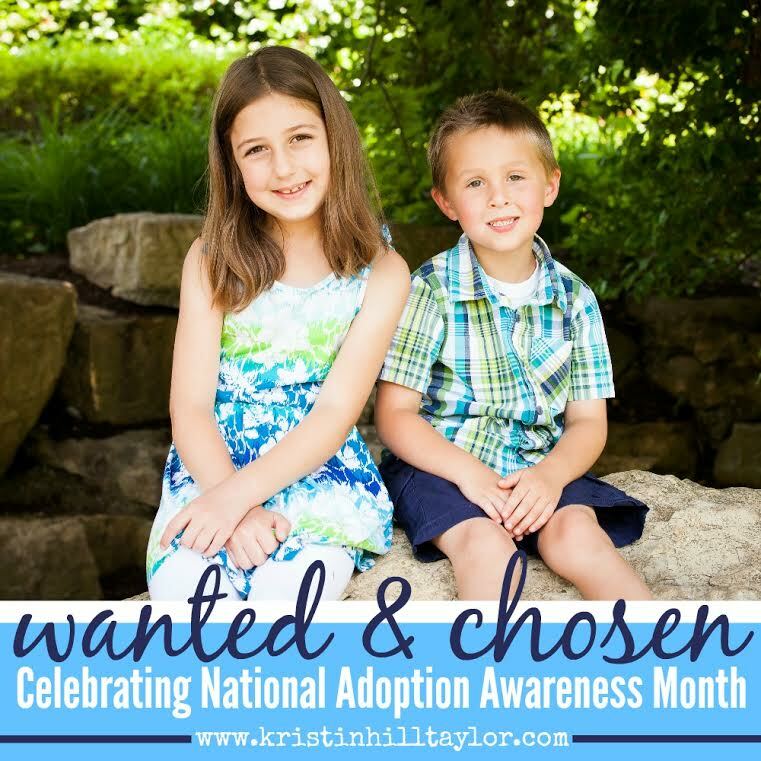 This entry was posted in Elijah, Family, Parenting and tagged honesty, life lessons, parenting on April 30, 2014 by Kristin.